Enjoy Maintenance Free Living in this 3 Bedroom with Loft 2.5 Bath 1 Car Garage Townhome located in The Verandahs. Peaceful Pond & Conservation Lot with No Rear or Front Neighbors! Pavered Covered Front Porch leads to Foyer with Storage closet. Wood Plank Tile in Foyer with Ceramic Tile on the whole first floor. Slider leads to Open Pavered Patio Overlooking Pond. Gourmet Open Kitchen with Stainless Steel Appliances, Granite Countertops, Staggered Wood Cabinets with Crown Molding, Breakfast Bar, Pantry & Eat-In Dinette. Half Bath off of Great Room with Pedestal Sink & Ceramic Tile. Open Loft upstairs. Large Master Suite with Oversized Walk-In Closet. Private Master Bath with Granite Countertops, Step-In Shower, Vanity Lighting & Dual Sinks. Two Additional Bedrooms Upstairs with an adjacent Second Full Bath with Granite Countertops & Ceramic Tile. Laundry Rm on Second Level for Convenience. Lots of Room for Storage. 16 SEER Energy efficient HVAC system. Both stories are solid concrete block. Community Features Resort style Pool with Large Pavered Sun Deck. Pet Friendly Community. HOA $155/month includes Community Pool, Ground Maintenance, Trash, Water/Sewer & Exterior Pest Control. CDD Fee included in Taxes. 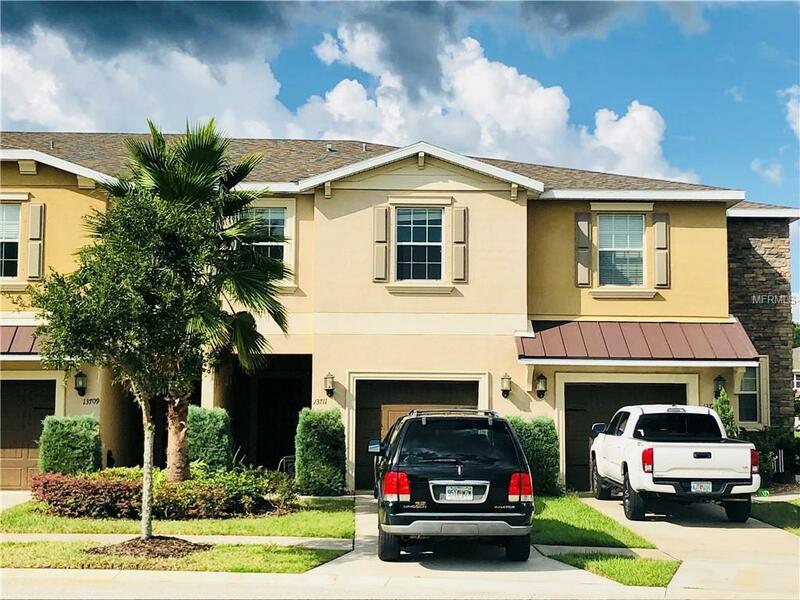 Just Minutes from the Suncoast Parkway, 30 Minutes from Downtown Tampa and Tampa International Airport. Shopping, Restaurants, Gulf Coast & Florida's Sandy Beaches nearby!